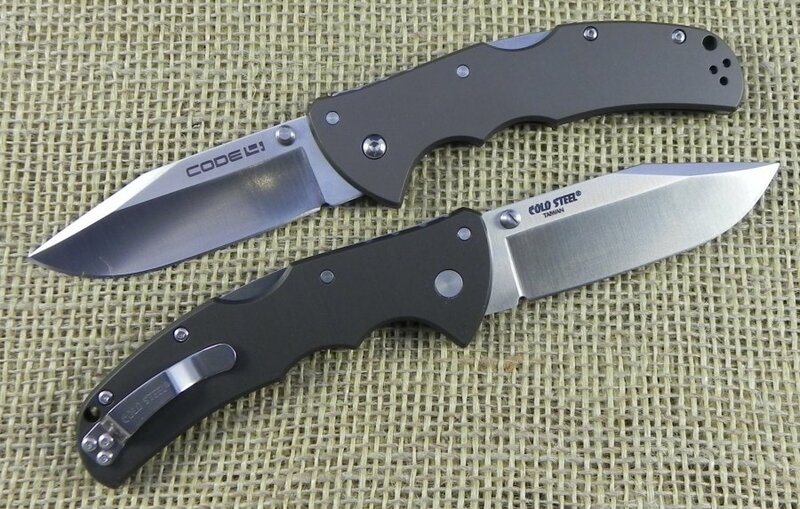 Cold Steel Code 4 Clip Point. 5" closed lockback. 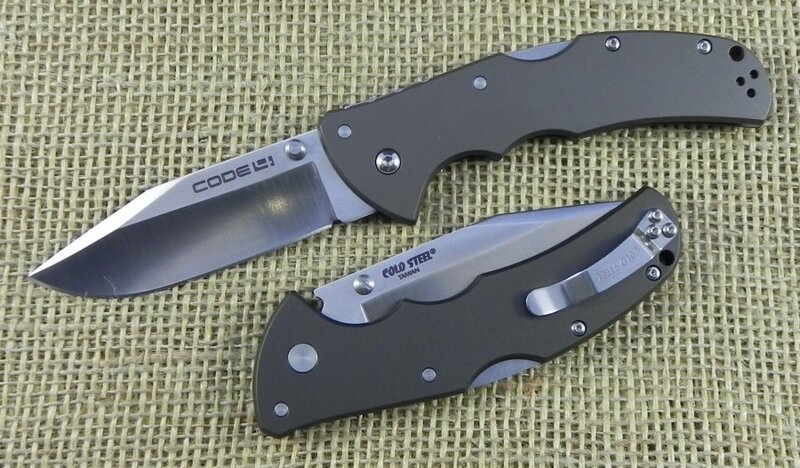 3 1/2" AUS-8 stainless standard edge clip point blade with dual thumb studs. Features Tri-Ad® lock. Hard-anodized gun metal gray 6061 aluminum handles. Lanyard hole. Reversible stainless pocket clip. 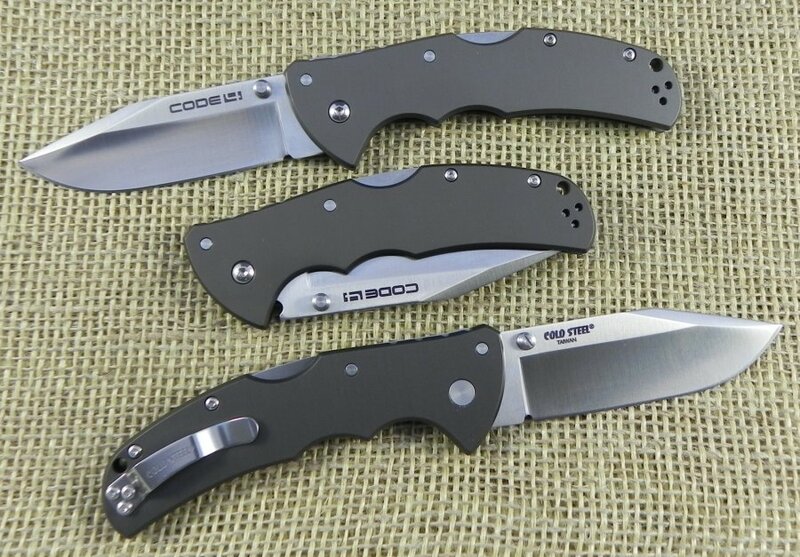 Includes extra stainless pocket clip.